"Thank you for visiting the Paralyzed Veterans of America Florida Chapter website. PVAF was chartered by the Circuit Court of the Eleventh Judicial Circuit in Dade County, Florida on September 13, 1956. We achieved status as a non-profit corporation under the authorized statutes of the State of Florida. As President, I am responsible for functional supervision and delegation of authority to create, maintain and improve PVAF's programs to serve U.S. Veterans with disabilities resulting from spinal cord injuries or spinal cord dysfunction. We also serve as an advocate for non-veterans with severe disabilities as many of these people have the same special needs as disabled veterans. Our programs are health care, legislation, advocacy, fundraising, research and education, and sports for the disabled. Our primary focus is health care for veterans who qualify for regular membership in PVAF. I believe this has always been an issue in the forefront and will remain so as the years pass. The members of PVAF are fortunate to have their medical care provided by the Department of Veterans Affairs (VA) medical facilities that are usually within driving distance of their homes. It is our great privilege to have our health care and hospital committees visit these facilities on behalf of our membership and those who are eligible for membership. We meet with VA officials on the hospital wards and with the Medical Center Director to discuss health care issues that affect our people. We also sponsor social functions for those inpatients that are hospitalized on the Spinal Cord Injury Service at the VA Medical Center in Miami, Florida. Many of us will spend considerable time as inpatients on this Service during our lives, so it is vital that we continue to encourage proper medical care staffing to the extent possible. Furthermore, we continue to monitor other issues as they arise to ensure our veterans are provided quality medical care. As always, we encourage those that can make donations to PVAF to do so. We are proud of our role as advocates and we want to continue this tradition since hospitalized veterans are limited in the roles they can play in our quest to honor them. Thank you for taking the time to visit with us." to improve the lives of disabled U.S. veterans. Paralyzed Veterans of America Florida Chapter is a nonprofit 501(c)3 organization whose mission is to improve the lives of veterans with a spinal cord injury or dysfunction (SCI/D) and other persons with disabilities to achieve maximum health, productivity, and self-esteem in their daily lives. Our program services include ensuring quality health care, providing a wide range of wheelchair sports and recreation activities, advocating and educating the public on all issues encompassed in the Americans with Disabilities Act (ADA), and research and education addressing SCI/D. 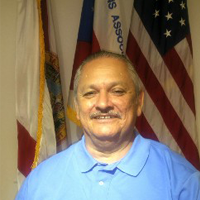 Paralyzed Veterans of America Florida Chapter was founded in Miami in September of 1956. Its founders saw the urgent need to provide injured veterans with services that could enhance and improve the quality of their lives. The Florida Chapter encompasses Monroe, Miami-Dade, Broward, Palm Beach, and Martin Counties. We receive no local, state, or federal funding. We are solely dependent upon the awareness and generosity of individuals and businesses within our community. Approximately 750,000 American men, women, and children have a spinal cord impairment. And in most cases, until a cure is found, these Americans will spend the rest of their lives using a wheelchair for mobility and battling the obstacles of everyday life. It does not matter how the impairment occurred; only that it will drastically change a person's life and lifestyle.